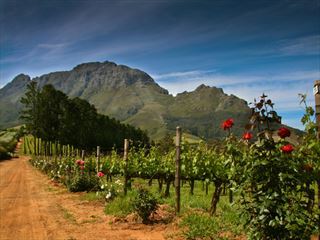 South Africa is brimming with natural splendour, and this wonderful eight-night adventure takes you on an exploration of this country's most impressive and breath-taking scenery. 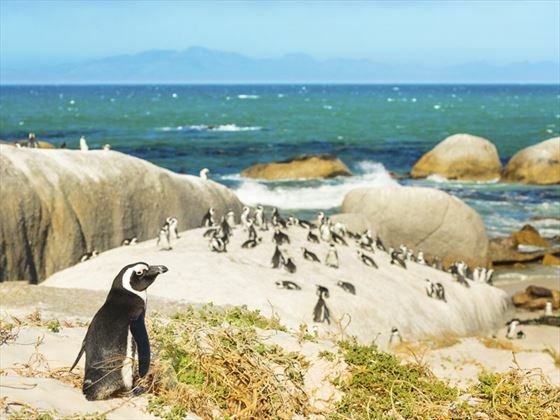 Starting in Cape Town, you'll have the chance to discover the city's brilliant attractions, including Table Mountain, Robben Island, and the adorable penguins on Boulders Beach. Next, you'll drive to Hermanus for a spot of whale watching before driving through the Garden Route to explore the charming town of Knysna before ending at the Lalibela Game Reserve for a couple of days of exciting safari (FM). 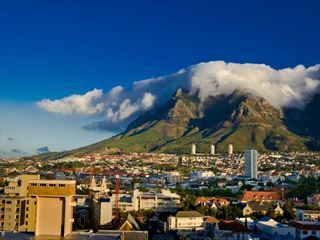 Fly overnight into the coastal city of Cape Town, on arrival collect your car, drive the short distance through the city centre and check into your selected hotel on the oceanfront. 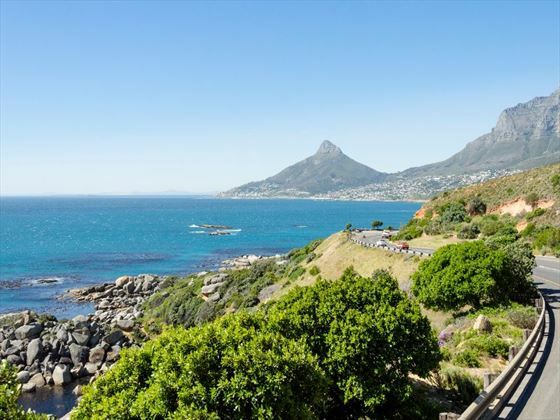 Spend the rest of your day at leisure exploring your surroundings, take a trip down to the lively V & A waterfront harbour side, do a sightseeing bus tour or ride the cable car up the mountain and admire the spectacular panoramic views. 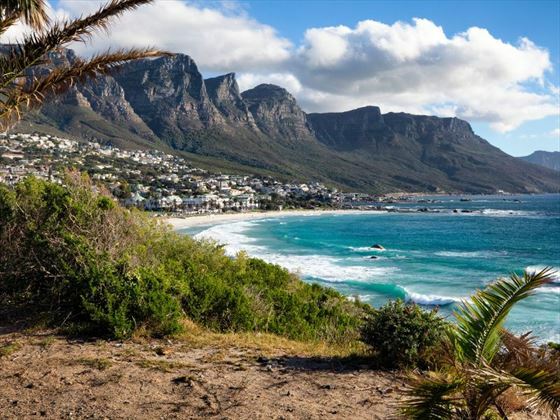 You have the full day to explore today, giving you plenty of time to explore the city and perhaps take a trip over to Robben Island, visiting the historic prison island that once held Nelson Mandela. 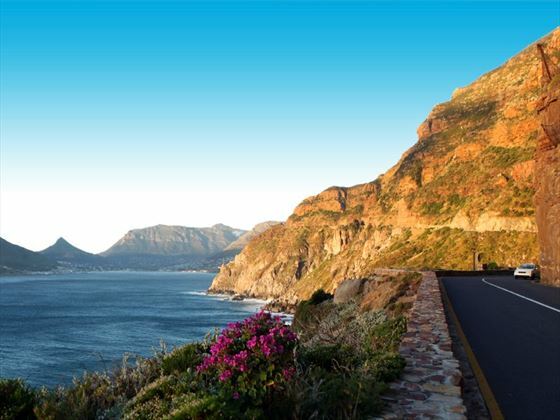 Drive along the coast today, admiring the beautiful views and stopping off at the Cape of Good Hope, the most South-Western point of the African continent. Driving back up along the coastline you can stop at Boulders Beach for lunch, picnics are recommended here and of course you can see the wonderful penguin colony here learning more about Africa’s unique penguins. Check out of your hotel this morning and take a short drive to Hermanus, the whale watching capital of South Africa. You will have plenty of time to take a cruise or do a spot of whale watching from the shoreline where these amazing creatures can often be seen. 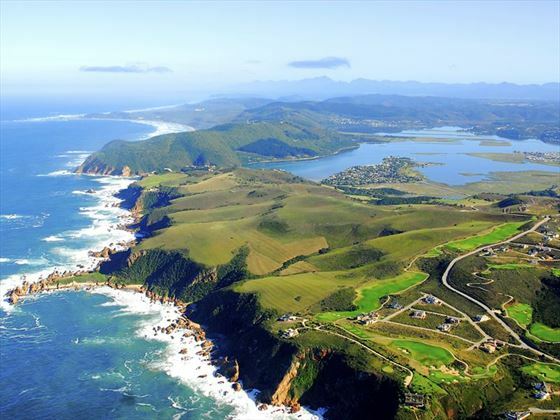 Check out of your hotel this morning and spend the morning driving over to the beautiful seaside town of Knysna on the Garden Route, arriving just in time for lunch. You’ll have the afternoon at leisure exploring your surroundings. Today you have a full day to embrace the natural wonders here from the lakes and rivers to stunning coastlines and native forests, you can cruise the lagoon on a ferry, explore the forest by foot, mountain bike or non-motorised scooter or take a 2 hours’ drive to visit the cool Cango Caves in Outdshoorn before trying out one of the local restaurants. 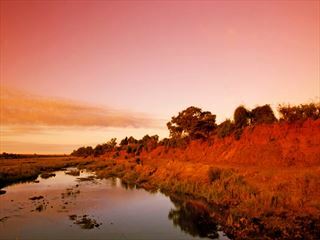 On day 7 you will take the 3.5 hours’ drive over to the Lalibela Game Reserve located just past the city of Port Elizabeth. Check into your Game Lodge where you will stay for the next two nights and take the opportunity to view the amazing wildlife here, home to the Big Five as well as giraffes, hippo, zebra, antelope, red-hartebeest, springbok and many more.